The local chapter of the Rotary Club International on Monday, November 26, visited Masvingo Provincial Hospital where they donated dozens of text book to the school of nursing. A representative of Mashoko School of Nursing was also present to receive a share of the donation. 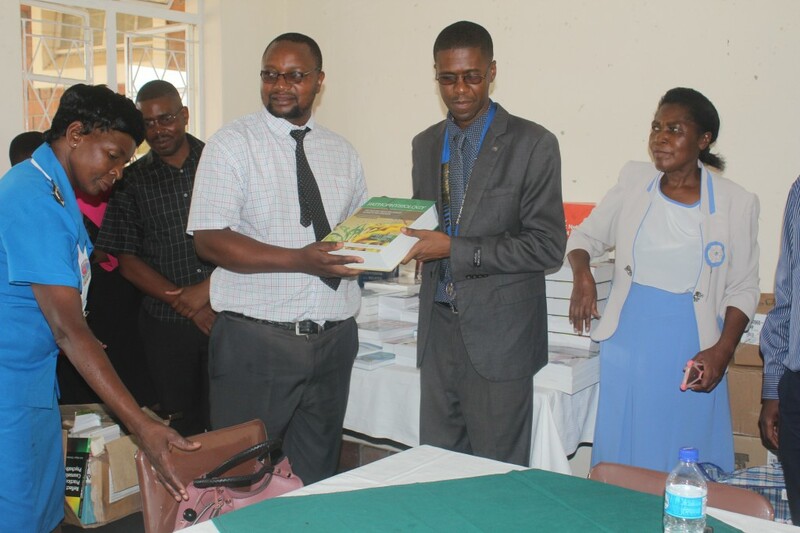 Masvingo Provincial Hospital School of Nursing has an enrollment of over 100 students and had been experiencing financial problems which made it impossible to buy all the books needed for the library. Speaking on behalf of provincial Medical Director Dr Amadeus Shamu, Dr Tapera Sarawoye thanked the club for the good work which he said would go a long way in helping the institution to produce quality nurses. "As an institution, we are very humbled by this generous gesture and we are sure these books will help us to produce the best nurses. I hope Rotary will continue helping and supporting us," said Sarawoye. Also expressing her gratitude towards Rotary Club's donation, the school’s tutor-in-charge, Rosemary Machuwaire said the donation was a timely intervention. "This donation has come to our rescue because we had a book deficit in our library and we would like to thank Rotary Club for this timely intervention," said Machuwaire. Masvingo Rotary Club president, Mike Zulu called upon the nursing students to join the club and also promised to keep working hand in glove with medical institutions. "We urge you to use these books wisely to improve your skills and knowledge and guard the books jealously. We also look forward to have nurses in our club because we are open to everyone," said Zulu. Last year, Rotary Club in partnership with Book Aid International made a similar donation to Silveira and Morgenster school of nursing as well as to the University of Zimbabwe (UZ) library.